At EC Design we specialize in making custom designed rings; for your engagement, wedding, or just a special treat for yourself! When you have a piece of jewelry custom made you get to choose the design features of the ring, instead of simply choosing a piece we have already made in the studio. For example: you can customize the Metal(s) used, Band Width, Texture, and the Diamond or Gemstone Type, Size, Shape and Color. Many of our designs can be customized even further with the addition or subtraction of diamonds, gems or mixed-metal accents. What Textures can I choose from? EC Design jewelry uses 100% recycled metal. We work mainly in 14k red gold, 18k yellow gold and sterling silver. 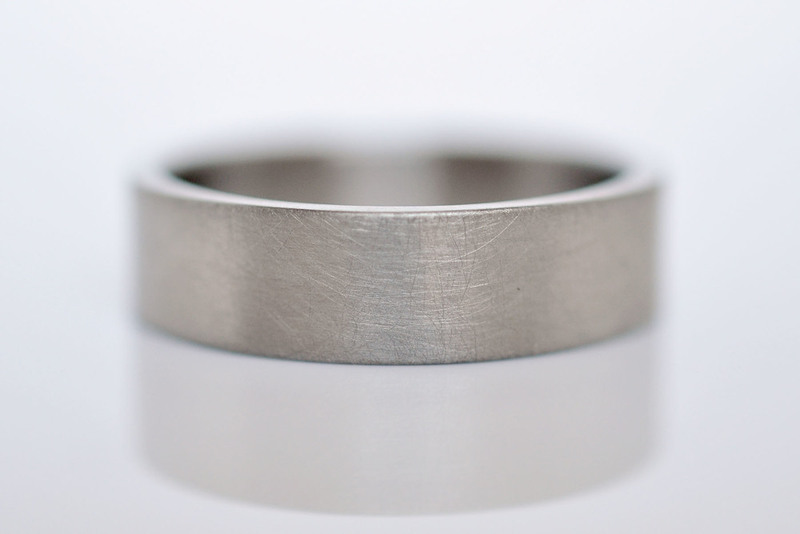 For wedding and commitment rings we recommend a metal stronger then silver. For white metals we use: 950 palladium and 950 platinum, 500 palladium (a palladium & silver alloy) and 14k or 18K gray gold (which is gold alloyed with palladium). We also work in 14k and 18k green gold by request. What gems do you work in? EC Design works in a variety of diamond, sapphire and moissanite options. All of our gems are conflict-free and adhere to the Kimberly Process. For white diamonds we use Canadian mined diamonds. Recycled diamonds are also available. Our favorite gems are rustic rose cut diamonds and rose cut sapphires in all the colors of the rainbow! Can you work with my gems? Sometimes. We can only reuse diamonds and sapphires. The gems must be inspected by us first. Although we take the utmost care while working with your gems, chipping and breakage can occur. Gems are reset at your own risk. EC Design cannot be held responsible for damage to your gems. Is There an Additional Cost to Having Something Custom Made? No, there is no extra cost. Once you decide on the final design, our studio will provide you with a quote. The price is determined by your material choices and the time involved in making the piece. Once you approve the quote and provide a 50% deposit, the process of creating your EC Design custom piece will begin. Custom orders usually take about 4-8 weeks to complete after the deposit is placed. Rush orders may be available. What makes the silver black? The silver is blackened with Liver of Sulfur; like all patinas, it is a surface coloration that will soften with wear as the white silver color is revealed. Jewelry can be re-coated for a small fee, but most of my clients love the aged look of the finish. The most wear will show on rings, then bracelets. Necklaces and earrings, depending on how they are stored, will show less wear.